good , trust service . 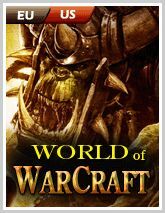 Goldicq.com provides you with access to a variety of resources, including the purchase and sale of virtual items, accounts, power leveling service. 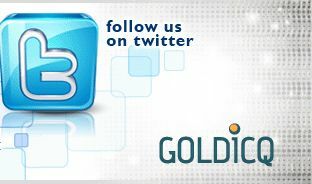 Possible account termination when using illegal or illegally obtained, Goldicq always provide the SAFEST service needed. Goldicq.com is a professional provider of MMORPG currencies, power leveling service, items and account trading. Such as Maple Story, Silk Road, Dofus, Aion Online, Ragnarok Online, Knight Online, Rappelz, Runescape, Cabal Online, Eve Online and so on. Nearly all games can be found here. Since goldicq's founding in 2007 by a group of professional gamers, we have served over 200,000 satisfied customers! On eBay, we achieved Gold Power Seller status and maintained a 99.5% positive feedback rating! We are also square trade Certified and a Verified PayPal World Sellers. We strive to continue our growth by delighting more and more customers, pushing the boundaries of customer service and investing in new technologies that will allow us to offer lower prices, safe and fast delivery. All virtual currency, powerleveling service we are selling is made by human hand.Possible account termination when using illegal leveling or illegally obtained gold. ANSWER: We accept numerous safe payment methods by PayPal, Credit Card, Western union, Money bookers, and Wire Transfer. For large order we suggest you use Western union as the payment method to guarantee an instant delivery without the hassle of order verification. Please note payment with confirmed billing address and optional verified buyer status will help your order be processed faster. Q: How do I place a power leveling order? 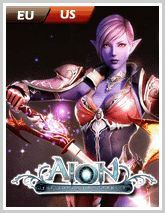 ANSWER: GOLDICQ offers both customized and pre-configured power leveling service for a variety of popular MMORPG games. 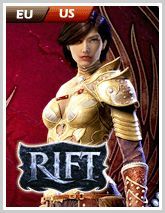 First of all, select your game from the list on the left of home page. Then select "Power Leveling"from the logo link on the top of the page to reach power leveling product page, meanwhile choose the product you need and get to Check Out page to place power leveling order. Q: Is it safe for me to pay online? ANSWER: It's safe. There is a link leading you to PayPal page when you pay. The information that you should provide is for PayPal but NOT for GOLDICQ. So GOLDICQ can not get any information about your credit card or your password. And technical experts point out that online purchases without human intervention are far safer than traditional credit card transactions because the information is immediately encrypted into a scrambled message that can only be decrypted by an authorized computer. Q: Will my account get banned if I buy from GOLDICQ? ANSWER: No. We are a reputable company that does not engage in cheating, exploiting or phishing. Dealing with other companies who obtain currencies and virtual commodities through these illegitimate means may result in your account being banned, but we can assure you we are not one of those. We are proud of our company's reputation and we will continue offering a safe, quality service to our customers, whilst combatting scammers and fraudsters in MMORPGs.